Expanding its award winning intelligent virtual agents (IVAs) solutions currently deployed on the websites of leading companies such as Michelin, SFR, GameFly, and Symantec, VirtuOz, Inc., the leading provider of IVAs for online marketing, sales, and support, today announced the availability of VirtuOz’ IVAs for mobile phones and tablets. VirtuOz, Inc., the leading provider of intelligent virtual agents (IVAs) for online marketing, sales, and support, today announced that Kaspersky Lab has been named a Constellation Research SuperNova Awards semi-finalist for its groundbreaking use of Lena, an IVA powered by VirtuOz. VirtuOz, Inc., the leading provider of intelligent virtual agents (IVAs) for online marketing, sales and support, today announced availability of a packaged integration with Moxie Software’s Chat Spaces™, for both sales and services. 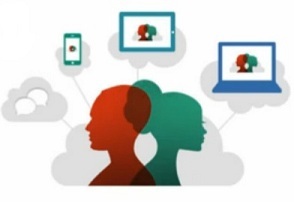 The integrated solution delivers a next generation customer experience that meets the needs of today’s digital-savvy customers, who increasingly dictate when, where and how they want to engage with a company. VirtuOz, Inc., the leading provider of intelligent virtual agents (IVAs) for online marketing, sales, and support, has been recognized as a finalist in the 4th Annual 2012 Golden Bridge Awards in the software innovations category. 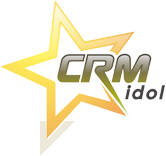 VirtuOz, Inc., the leading provider of intelligent virtual agents (IVAs) for online marketing, sales, and support, announced today that the company has been named a semi-finalist in CRM Idol 2012. Now in its second year, the prestigious award program was founded by author and analyst Paul Greenberg to assist up and coming CRM companies gain visibility in the CRM community, and with key industry influencers. Primary judges include notable CRM luminaries such as Brent Leary, Esteban Kolsky, Denis Pombriant, Jesus Hoyos, Laurence Buchanan, Mark Tamis and Silvana Buljan. VirtuOz, Inc., the leading provider of intelligent virtual agents (IVAs) for online marketing, sales, and support, announced that the company’s Chief Marketing Officer (CMO) Pamela Kostka has been chosen to speak at Enterprise 2.0 Boston, the leading conference and expo for social enterprise tools and technologies. VirtuOz, Inc., the leading provider of intelligent virtual agents (IVAs) for online marketing, sales, and support, announced today that VirtuOz’ Intelligent Virtual Agents have been recognized by three industry award programs in May 2012 alone, including the Best in Biz Awards EMEA, Silver Winner for Best New Service of the Year; The American Business Awards Finalist in the Relationship Management Solution Category for the second year in a row; and TiE50 Awards Finalist, where VirtuOz beat out over 2000 entrants. VirtuOz, Inc., the leading provider of intelligent virtual agents (IVAs) for online marketing, sales, and support, today announced availability of VirtuOz Micro-Agents, special purpose virtual agents that address specific topics with enough repeat customer requests to provide companies with immediate return on investment. VirtuOz Micro-Agent for Shipping is the first of many micro-agents to be launched in the coming months and is available now for a free test drive. 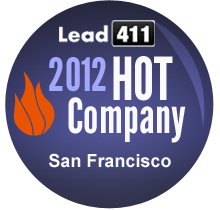 VirtuOz, Inc., the leading provider of intelligent virtual agents (IVAs) for online marketing, sales, and support, today announced the company was named to Lead411’s “Hottest San Francisco Company” list. VirtuOz, Inc., the leading provider of intelligent virtual agents (intelligent virtual agents) for online marketing, sales, and support, today announced that Kaspersky Lab, a leading developer of secure content and threat management solutions, has extended the mission of Lena, its VirtuOz IVA, to online sales. By integrating Lena into its online retail operation, Kaspersky Lab can now provide personalized sales assistance to customers 24/7.